Graduate training programs in psychology prepare students for successful careers in academia, research and clinical practice; however, not all training programs offer the type of non-academic professional development support that can help students stand out and excel in their training and future careers. After all, each student has their own personal strengths, and who wouldn’t want to highlight those strengths? 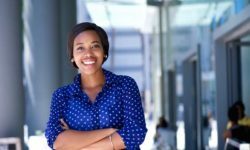 As a graduate student or early career psychologist, one may never think of how to professionally advance outside of successfully completing program requirements, getting the right placement/job, and obtaining a license. The six areas of non-academic tips for success offered below make up a model of related factors that can lead to success in these processes and build professional relationships along the way. Feedback can be another anxiety-provoking aspect of professional development, especially in relationships that are evaluative in nature, such as with research advisors, clinical supervisors and training directors. It is interesting to consider, especially for those who provide psychotherapy, which generally includes providing feedback in some form on an ongoing basis, the impact that feedback can have on an individual. Everyone has had the experience of receiving feedback unexpectedly or about something they were completely unaware of. In order to successfully digest feedback, you do not have to be “ready” for it, but you do have to be able to sit with those internal responses that arise until you reach the point where you can process the information and ask yourself, “How can I improve in this area?” This is not to mean that you will agree with every piece of professional feedback you receive, but that these situations always provide an opportunity to learn and grow. Somewhat similar to the skill of digesting feedback is the skill of giving feedback, which is often mistakenly believed to come only when you are in an authoritative position such as supervising or overseeing research. The truth is that similar to the example of providing feedback in psychotherapy, giving feedback is a helpful skill that will help you advance in your career. Consider experiences such as responding to program evaluations, co-facilitating a therapy group with a fellow trainee, or discussing client load or timelines with supervisors and advisors. These are all examples of situations in which providing feedback will help you have your own needs met and succeed moving forward. While taking a noncompetitive approach may not sound intuitive, especially when thinking about internship, fellowship and job opportunities, it can help you succeed in the long run. Think about the amount of energy it takes when you compare yourself to those in your cohort, those more advanced in their training, and then to the national pool of graduate students and ECPs. These comparisons are anxiety provoking, and use up both time and mental resources that could be better allocated to completing your own work or even self-care activities. Consider this – competition with yourself to meet deadlines, complete trainings and turn in that last paper are much more self-motivating than competition with others. A prime example of when a more competitive or comparative approach can become detrimental is when asking others about their grades or scores on exams, such as the EPPP. While it may possibly feel good in the short run to know whether or not you scored better than your peer (unless they scored higher), this situation, similar to anxiety, only perpetuates an externally competitive approach. Rather than engaging in this cycle, it can be more helpful to focus on meeting your own goals, supporting your peers in their success and even collaborating to ultimately succeed with the knowledge that you have their support behind you. The pay-it-forward model is a key tenet for current training and education in psychology. Can you think of a time when a senior trainee stayed on a little bit longer to train the incoming cohort on how to conduct an assessment battery, or have you ever volunteered to share your own experiences at a training site or graduate program? These are all forms of paying-it-forward, or freely sharing information with those in the field who are at a stage you may have been in not that long ago. Similar to a one-time mentoring situation, sharing in this way provides the opportunity to give back and expand resources within the field. This factor, much like the others, has no end date and can be an important part of your career for the rest of your life. Consider the benefits you have received from those who have paid it forward to you, and how rewarding it can be to pay it forward as you advance throughout your career. Who knows, one day you may discover that you have paid it forward to the exact person who may be able to connect you to someone in his or her professional network that is hiring for your dream job. Mentorship can present itself in many forms, from officially established relationships within a program, to reaching out for professional advice from someone further along in their career, or even a peer. A good way of thinking about this is to imagine a mentorship constellation in which there are multiple people meeting all of your mentorship needs. Imagine, if you will, that you are working directly with your research advisor on designing your dissertation study, side-by-side with a fellow graduate student at an externship or practicum site who is helping you learn a new treatment or assessment, and via email with an ECP who is providing you advice on their experience in a job or training position that you are hoping to obtain in the future. Each of these examples illustrates a mentorship need that is being met by different people who are at different stages in their career. The key to a strong mentoring relationship is being prepared and appreciative of what others are offering out of their own time and resources. There is nothing more embarrassing than writing an email asking for advice and getting a one-line response with a web address to a site that contains exactly what you were looking for. Prepare for your mentorship interactions by researching the background of the subject you want to cover and understanding the breadth of experience your mentor has in that area. Finally, be respectful and show your appreciation of the time, resources and information that has been shared with you. Remember, there will come a time, likely sooner than you expect, when someone will look to you for mentorship (see Pay-it-Forward below). 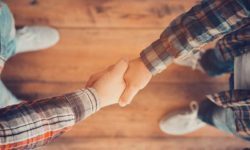 Networking can be a bit overwhelming at any point in your career, whether you’re attending your first large conference or meeting your modern day psychology idols for the first time, but the benefits can be priceless. Of course, advancements in the field may include you getting to work on innovative research projects or in the job of your dreams, but taking a more collaborative approach will make it easier to connect with others and get them interested in working with you. As a mentor in the American Psychological Association of Graduate Students’ Committee on Sexual Orientation and Gender Diversity’s LGBT Graduate Student Mentoring Program, I often tell the students that my work with that association is my “professional superpower.” This does not mean that I know the exact psychologist a student wants to meet, or even that it is easy to begin these relationships, but it does mean that I will do whatever I can to use my professional network to connect those within my network to advance the field of psychology. The final nonacademic tip for success offered within this model is knowing what you are selling – yourself! It is important to understand that each new professional interaction that you face, whether it is a formal interview or networking opportunity, is practice toward the long-term goal of landing a position that will fulfill all of your career aspirations. During graduate training, it is common to consider your curriculum vitae the key piece of advertisement for who you are professionally; however, the CV is only a roadmap to where you have been, sprinkled with hints of what direction you may be interested in pursuing in the future. Being able to discuss how you sought out the professional experiences you have had and how they intersect with your future goals is key in being able to advertise your ability, uniqueness, skill and talent. For example, being able to say that I was a research assistant with the Center for LGBT Evidence-based Applied Research (CLEAR) at Palo Alto University’s (PAU) Pacific Graduate School of Psychology and completed the LGBT Health, Policy & Practice Graduate Certificate Program at The George Washington University (GWU) allowed me to talk about past experiences and explain how they made me the perfect fit for my current position in the LGBT Mental Health Postdoctoral Fellowship at the San Diego VA. Sharing that information allowed me to advertise myself and pay-it-forward to both PAU and GWU for the experiences they offered me. Remembering that these six factors are all related and that it is difficult to fully engage in one without some overlap with another will aid you in success through your graduate training and career. Through working together to support one another and ourselves, we can continue to contribute to and expand the rewarding field of psychology. Nicholas Grant, Ph.D., completed his doctoral work in 2015 at the Pacific Graduate School of Psychology at Palo Alto University, where he worked as a research assistant with the Center for LGBT Evidence-based Applied Research (CLEAR). He is also an alumnus of the LGBT Health, Policy & Practice Graduate Certificate Program at The George Washington University. Dr. Grant completed his pre-doctoral internship in Behavioral Medicine at Tulane University’s School of Medicine and is currently the LGBT Mental Health fellow in the Clinical Psychology Postdoctoral Residency Program at the VA San Diego Healthcare System/University of California, San Diego. Additionally, he is involved in the APA Health Equity Ambassador Program, and serves as the Health Professional in Training Representative co-chair for GLMA: Healthcare Professionals Advancing LGBT Equality. Dr. Grant has accepted a position with APA Congressional Fellowship in Washington, DC for the 2016-17 academic year.